I ran into some articles and reviews about the legendary "Ptooff!" 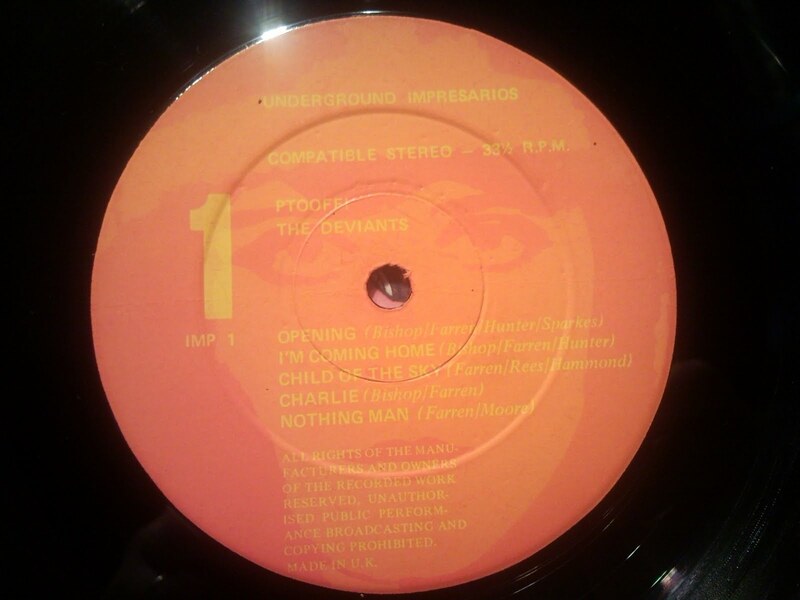 album by the Deviants, and discovered that all these recent MP3-hunters have on their blogs the wrong front cover published - LOL! 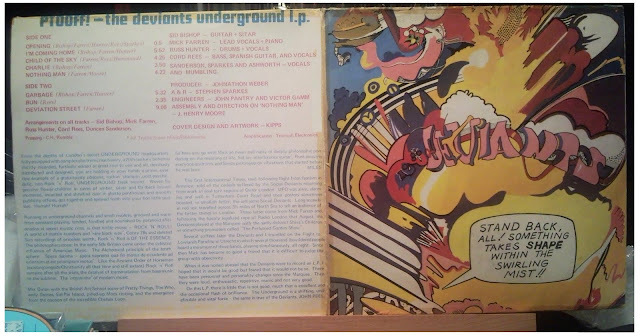 Apart from the fact that no one seems to know that the very first edition was released by the alternative label "Underground Impresarios", which managed to publish just one LP (this one! 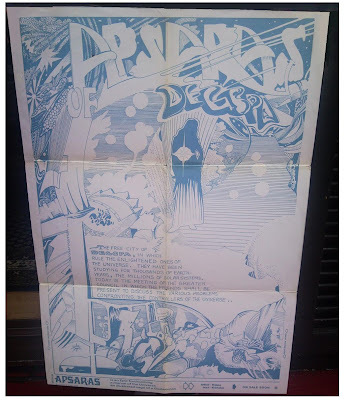 ), and that the Decca edition was a much later reprint (I couldn't swear, but it must be around 73 or 74), looks like nobody of these "experts" ever saw the original cover, otherwise they would have realized (and mentioned on their blogs) that the CD issue doesn't show the real front cover. The first edition of "Ptooff! "'s original cover was actually a huge single poster opening in six parts, same thing as the "Glastonbury" album and the Hawkwind's "Space ritual". So, this (above) can be the only front cover, otherwise the back cover, with titles and liner notes, wouldn't be visible. Obvious, nicht? 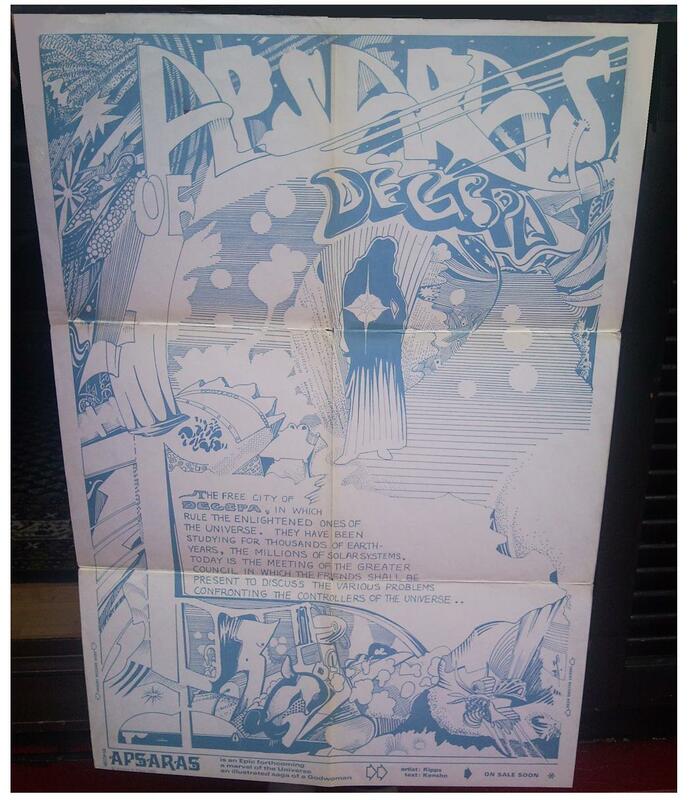 In the early 80's, I remember having seen copies of a "Ptooff" bootleg in specialized shops, and I must admit that the gigantic poster sleeve was remade in a way that was no less than immaculate. One more mistake, which seems to be stubbornly repeated everywhere, is the year: as stated on the sleeve, the album was released in 1968, not in 1967. Thanks for clarifying the general misconceptions about the cover. Such a fantastic record. http://endless-sound.blogspot.com/ and for the wonderful Wizard/True star LP that you chose as icon, one of Todd's best LPs [for my personal taste, "Initiation" is the nr 1].